The history of the people of Israel is marked by periods of radical rebirth, in which a relatively small group writes a new chapter in Israel’s story. Prophets and scholars together formulated a theological, cultural and educational revolution that has carried Judaism until today. What was their secret? How can their vision and their policies help our people in this generation of national rebirth? This session was given by Rabbi Dov Berkovits as part of the Pardes Executive Learning Seminar, Summer 2017. 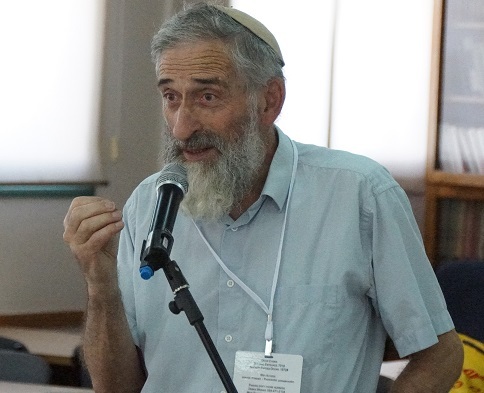 Rabbi Dov Berkovits is the former Director and Senior Faculty member of the Pardes Institute; Co-Founder and former Educational Director of Nesiyah; Teacher and Founding Member at Elul; Founding Senior Faculty at the Yakar Synagogue in Jerusalem and former Research Assistant to Rabbi Adin Steinsaltz. 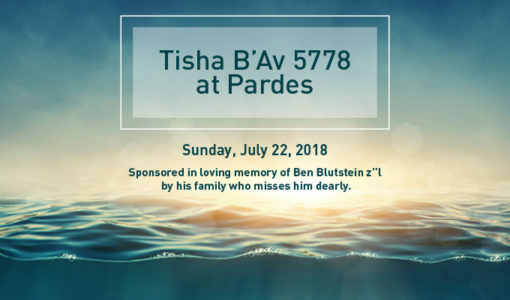 He is currently the Director of Beit-Av, an institute named in memory of his father, Rabbi Eliezer Berkovits, dedicated to creativity and renewal through Torah. Dov is the author of articles on Jewish environmental thought and Judaism and Art. He has published three books, most recently The Temple of Life - Marriage and the Sanctity of Relationships (Koren Press). He is a graduate of the University of Chicago and Yeshiva University, with degrees in Philosophy and Jewish History.